My Question is do you have any juniors in your area that own a sabot? But don’t sail it due to poor fleet numbers and would be interested in dragging them out to compete in this Series that will have them up against larger fleet numbers and the chance to win a prize every round and a Major Presentation at the last Regatta venue? Do you have any Opti or Bic Juniors that maybe interested in sailing a sabot for part of the year in this series? 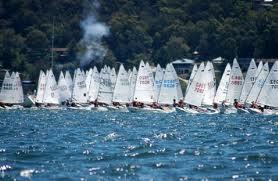 NQSA are well underway with planning for the 2015-2016 Wangi Sabot nationals and would like any new and existing sailing members if interested to join us in this Series and get your spot on the NQSA Team for this year’s Sabot Nationals.